Andy Otten and Kyle Hartigan are both in the mix to replace injured defender Tom Doedee, senior assistant coach Scott Camporeale has revealed. 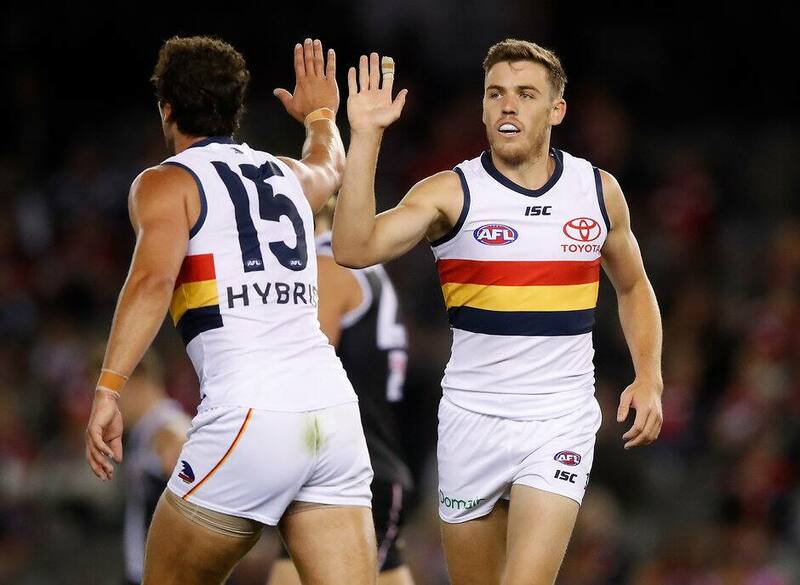 Doedee ruptured his anterior cruciate ligament in Adelaide’s Round One loss to Hawthorn on Saturday and will miss the remainder of the season. At a media conference on Monday, Camporeale was asked who would come in for the 2018 Rising Star runner-up. “Any of those three (Otten, Hartigan and Darcy Fogarty) could go back there,” Camporeale said. “It’s probably just a bit opposition specific as to whether or not we need another tall. Fogarty missed selection in Round One, but has been flagged to play in the backline if required. “Darcy is a talented player,” Camporeale said. Adelaide will also miss Richard Douglas in Round Two after the veteran midfielder suffered an ankle injury late in the game against Hawthorn. Douglas will have scans later this week to determine the extent of the injury. Despite the loss, Camporeale said there were positives to take away. “We had 58 inside 50s, our contested ball numbers were strong,” he said. “We don’t need to change things, a lot of the key indicators were really good.